This John Mayer bio includes (almost) everything you ever wanted to know about this raspy-voiced singer-songwriter. The John Mayer bio begins in Bridgeport, Connecticut. 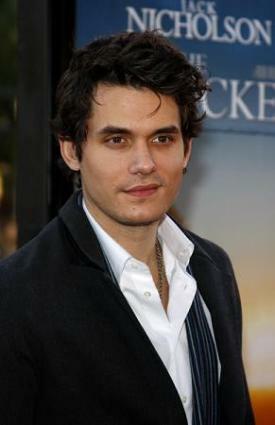 He was born on October 16, 1977 as John Clayton Mayer. Mayer once claimed that he had always listened to pop music on the radio until someone he knew gave him a Stevie Ray Vaughn tape at the age of 13. John Mayer has been a blues devotee ever since. This age would also prove to be very significant to Mayer, as it was the first year he started playing the guitar. Aside from influence of the late Stevie Ray Vaughn, Mayer once said that his interest in the guitar was piqued when he saw actor Michael J. Fox's character Marty McFly play Johnny B. Goode in the film Back to the Future. After hearing his interests, his father Richard rented him a guitar. After two years of practicing, John Mayer, at the age of 15, was playing in local clubs and coffee houses and people loved him. When John Mayer was 17, he experienced a cardiac arrhythmia and was admitted to a local hospital. He claims that the night he was released from the hospital was the night he wrote his first lyrics. Ever since that incident, Mayer experienced severe panic attacks until he was 26. Although the attacks haven't occurred for a number of years, he says he still keeps a bottle of an anti-anxiety drug on hand just in case they should happen again. After a short stint at the Berklee College of Music in Boston, Massachusetts, Mayer dropped out of school to pursue the career he had wanted since he was 13 - to be a successful singer-songwriter. Mayer left Boston shortly after and moved to Atlanta, Georgia, with good friend Clay Cook. Cook and Mayer performed as the LoFi Masters at bars and clubs around Atlanta. The two would eventually part ways citing musical differences. John then embarked on a solo career, releasing his first album Inside Wants Out in 1999. After the release of Inside Wants Out, Mayer headed to Texas to perform at Austin's famous South by Southwest Music Festival. His performance at SXSW is where Mayer landed his first major record deal with Aware, a part of Columbia Records. Shortly after signing with Aware, the company decided to re-release Mayer's Room for Squares, adding a few tracks from Inside Wants Out. Finally, what John Mayer bio would be complete without a little bit of fun trivia and quotes? He does stand-up comedy as a hobby. Believes he can see the colors of music, known as Music Color Synesthesia. Martin Guitars made 404 models of a special edition acoustic guitar in honor of Mayer. Mayer is fluent in Japanese. He was once quoted as saying "High school is like a spork; it's a crappy spoon and it's a crappy fork. So in the end, it's just plain useless." His favorite movie is 1997's Good Will Hunting. Once said "Love is like a hot shower where your skin never prunes." He has toured with the band Maroon 5.